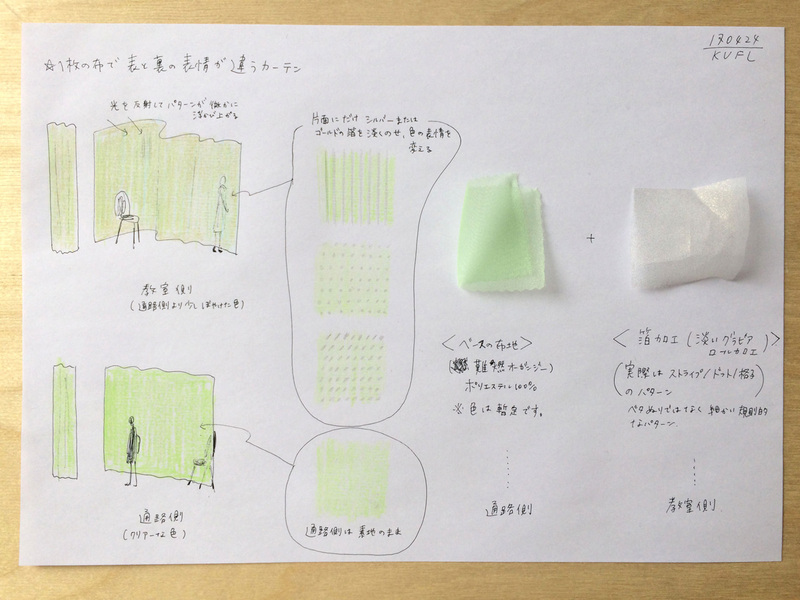 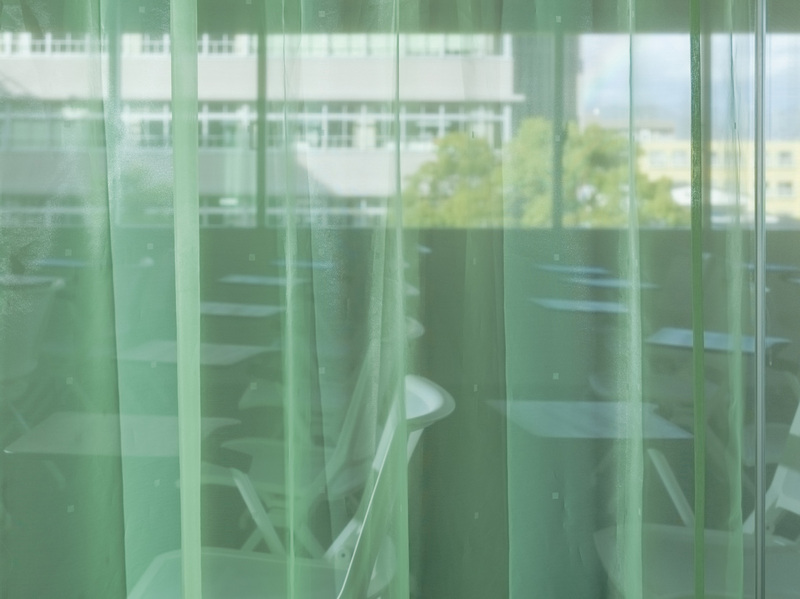 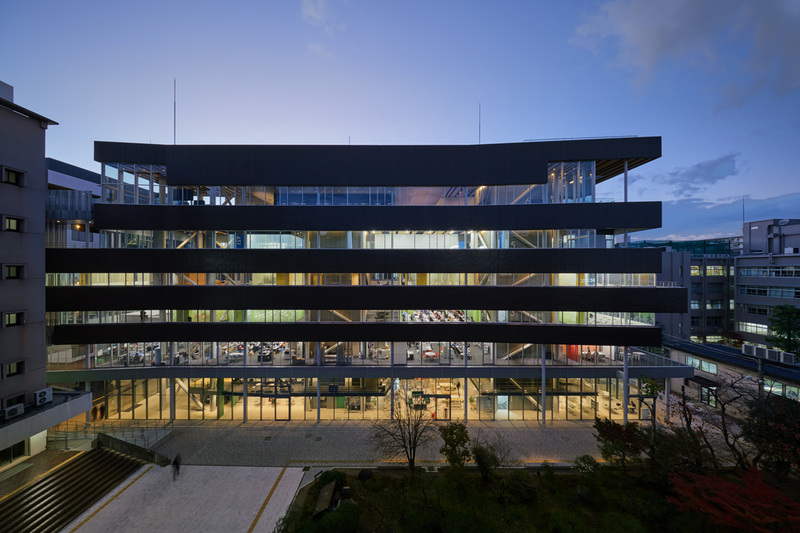 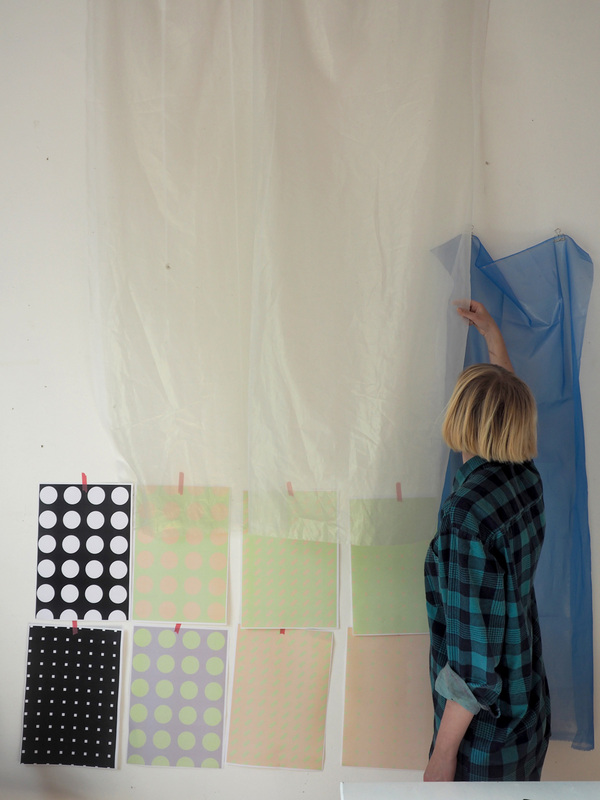 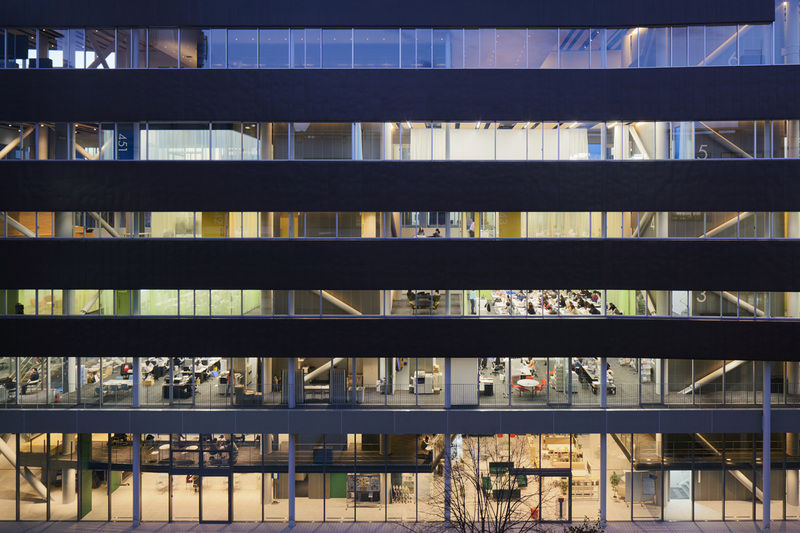 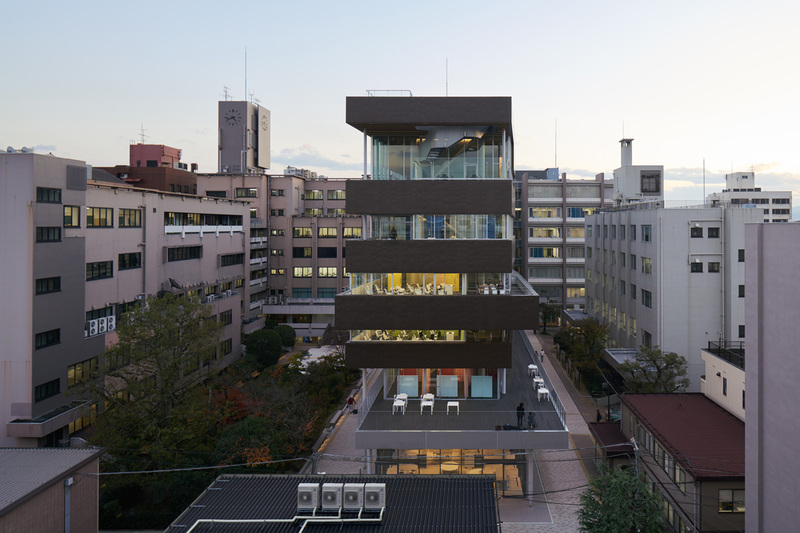 Studio Akane Moriyama was commissioned to create curtains for 4 floors in the newly-built school building for Kyoto University of Foreign Language. 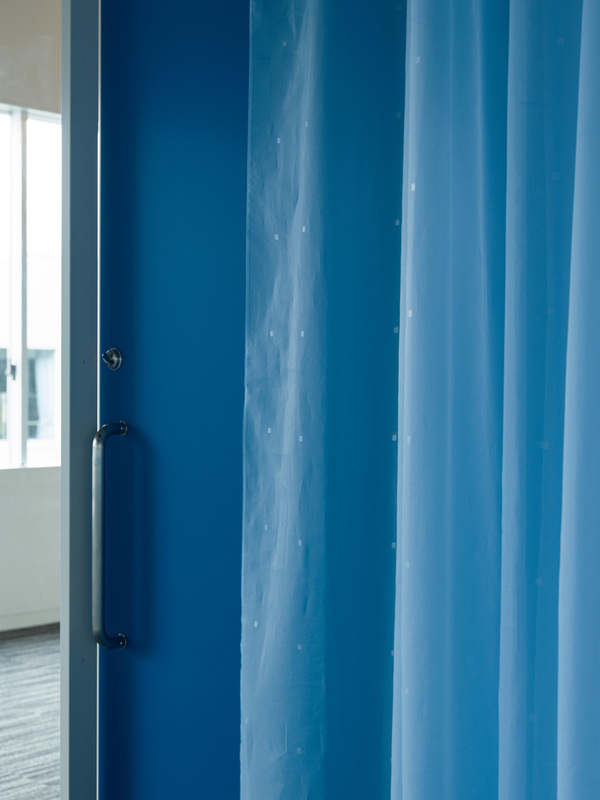 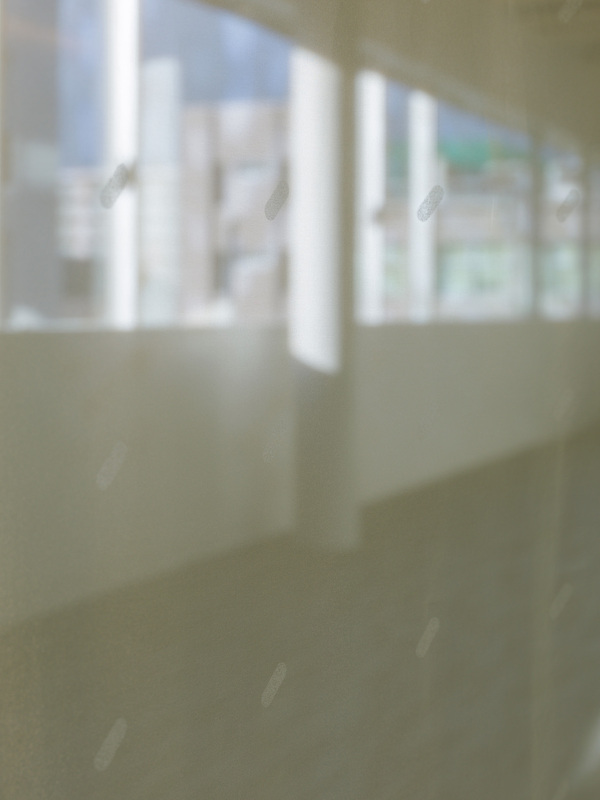 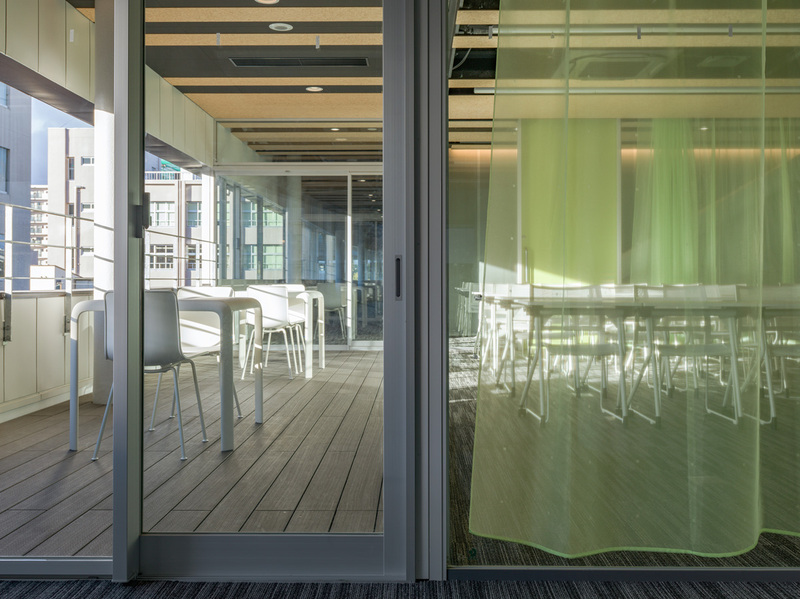 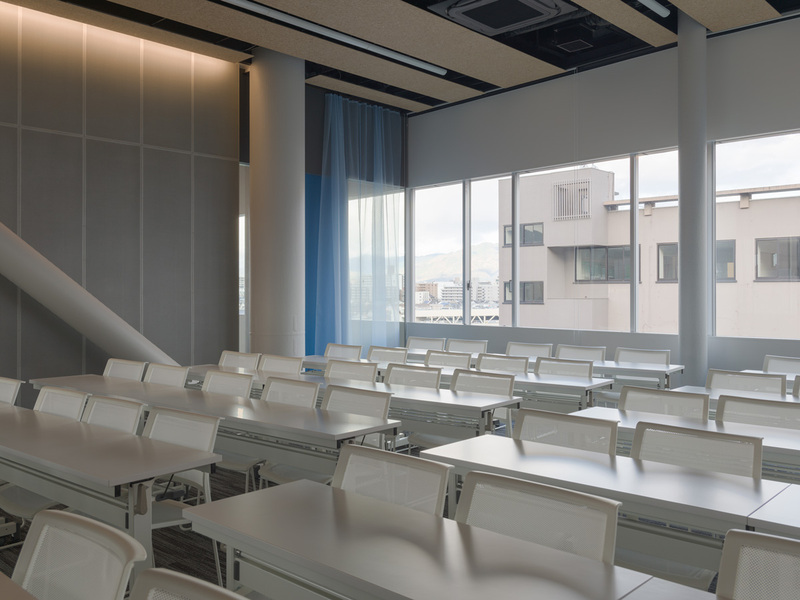 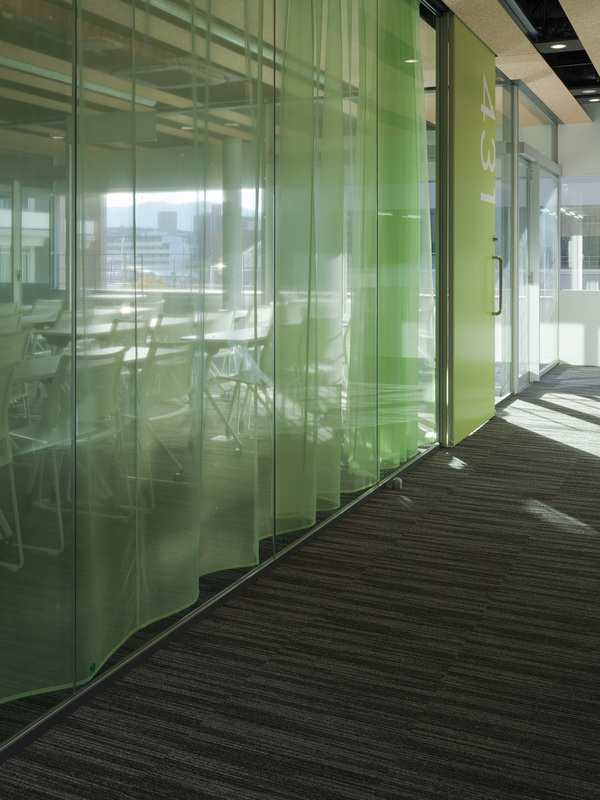 The semi-transparent curtains cooperate with glazed walls in the lecture rooms in order to create enclosure yet openness to the corridor. 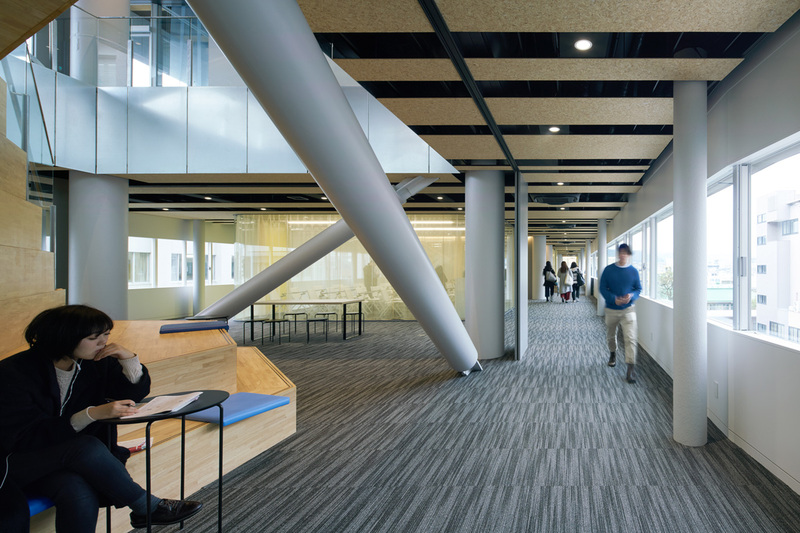 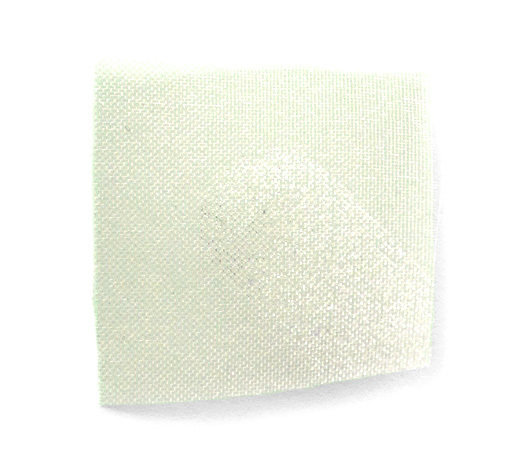 Textile of different colors and patterns were used for the different floors so that users can recognize and navigate within the building. 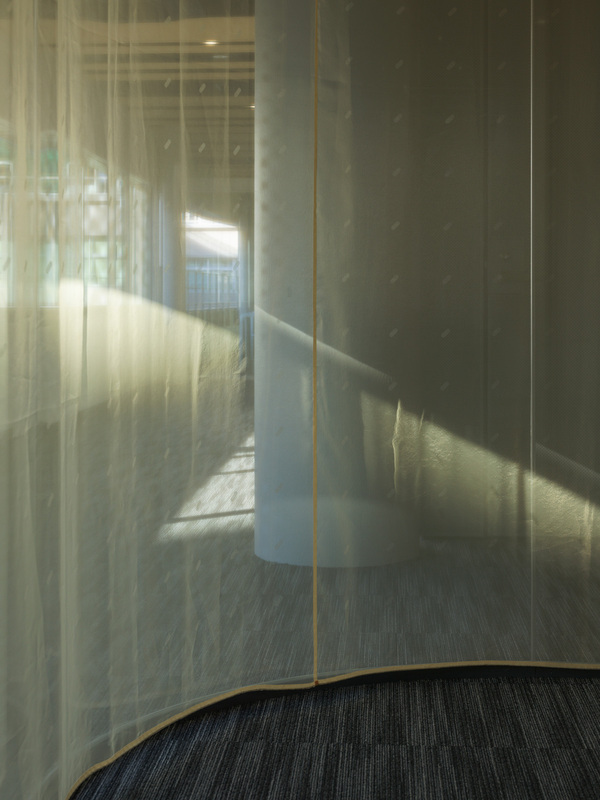 Subtle patterns of gold and silver appear when the curtains catch the light.